The 2018 Maruti Suzuki Swift is about to be launched in India at the 2018 Auto Expo, but we have already taken a peek at it and it is stunning. The 2018 Maruti Suzuki Swift has undergone a major overhaul in terms of design. And we aren't the only ones impressed with its design language. 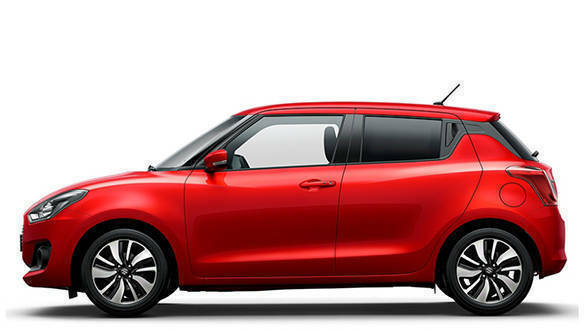 The third-generation 2018 Maruti Suzuki Swift and its siblings, the 2017 Maruti Suzuki Dzire, and Suzuki Swift Sport have been awarded the Good Design Award by the Japanese Institute of Design Promotion. Now, with its India launch just days away, and the pre-launch bookings for the 2018 Maruti Suzuki Swift having already begun, we take a closer look at what makes this an award-winning design, and if it outshines its competitors including the Hyundai Grand i10, Ford Figo, and Tata Tiago. 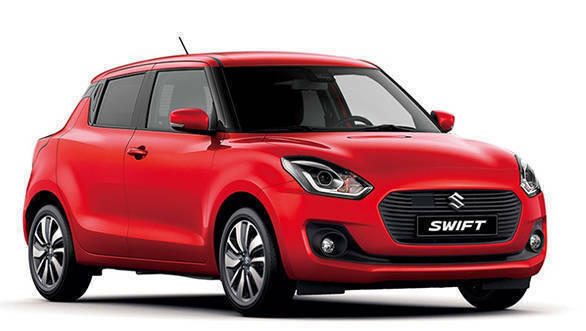 To see how the 2018 Swift compares to its predecessor, the second-generation Maruti Suzuki Swift, read here. 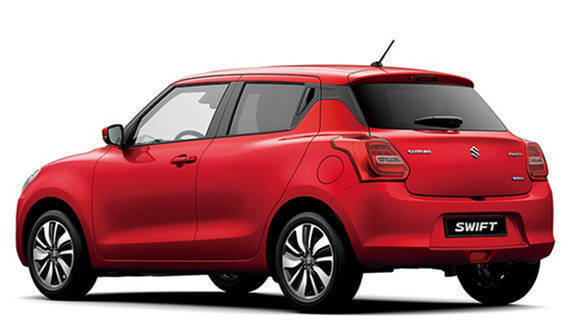 We also have further information about the powertrain options on the 2018 Maruti Suzuki Swift. The biggest difference upfront is the much larger, hexagonal grille, which now also incorporates the number plate in its centre. The lower lip under the grille lends the grille a nose-like protrusion. A slat under this connects the fog lamps on either front corner. The new headlamp design with integrated LED DRLs and projector lamps is very striking and the overall look of the front with the mean headlamps is more aggressive. The contours on the hood are more pronounced as well. From the sides, while the family silhouette stands out, the biggest differentiator are the missing rear door handles. They have been smartly incorporated vertically (as seen on the Chevrolet Beat) where the rear quarter-glass used to be to give the Swift the sportier look of a two-door. The black plastic surrounding these rear door handles opens out to the rear windscreen, giving the roof a floating look. Thicker C-pillars also add more visual weight to the rear. The 2018 Swift has shorter overhangs thanks to the length being 10mm less, while the wheelbase has been increased by 20mm. New 10-spoke alloys complete the look. At the rear, the rounded profile from earlier is now more squared. A sharp body line flows from the rear doors to the new LED taillamps, which have a squarish shape. This and an inclined design gives the rear a more evolved profile. Images of the 2018 Swift so far have shown twin exhausts, however, the road-going version for India will have a single exhaust. The twin exhausts may be seen on the Swift Sport variant, if and when it makes its debut. Overall, the 2018 Swift is visually way more butch-looking, thanks to increased width, lowered height and decreased length. The new styling which takes a vein from the Baleno ensures that the third-generation Swift looks the part of a potential segment champion. Stay tuned to OVERDRIVE for the launch and more details about the 2018 Maruti Suzuki Swift.